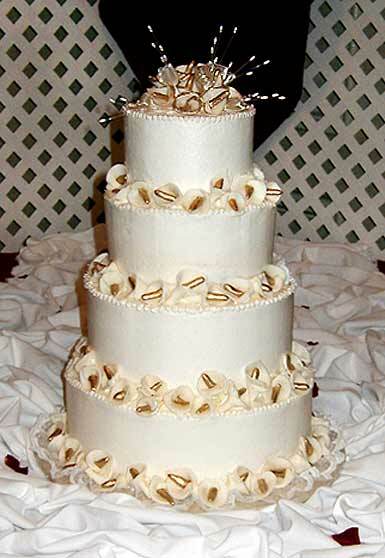 Golden details, Ribbon and Pearls create a stunning effect! 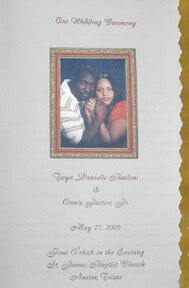 Wedding Programs designed and printed by Designs by Delights. 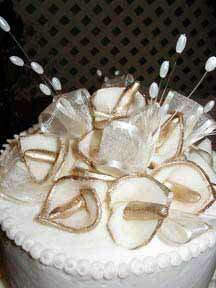 Detail of the Cake Topper. 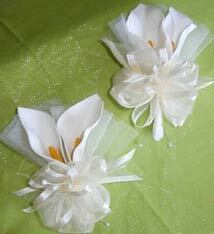 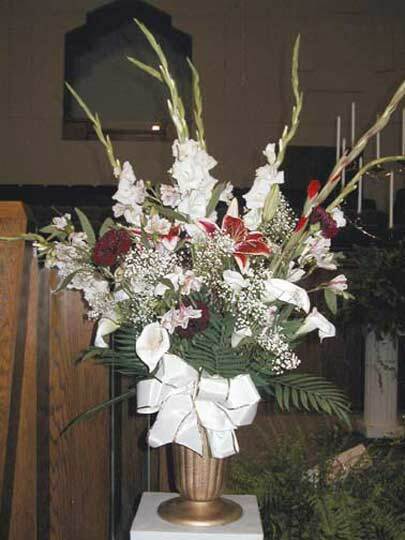 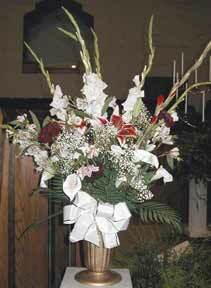 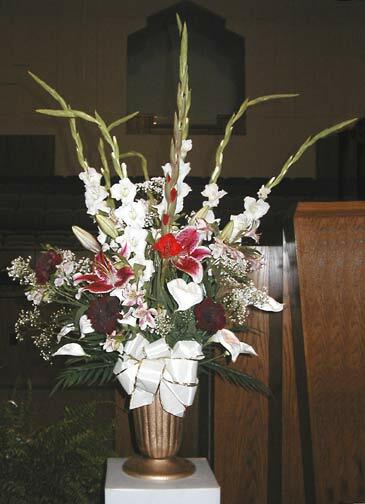 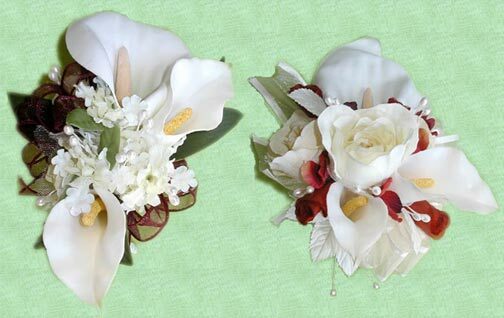 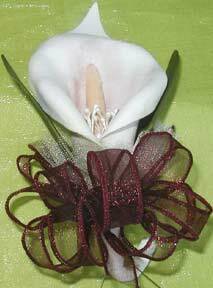 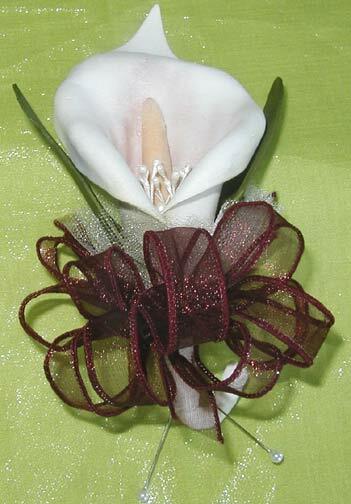 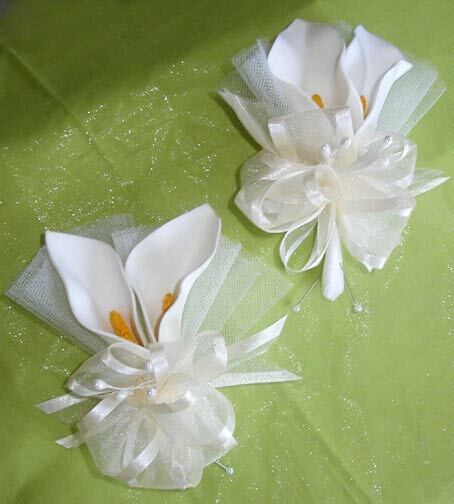 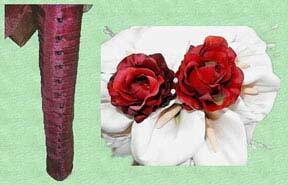 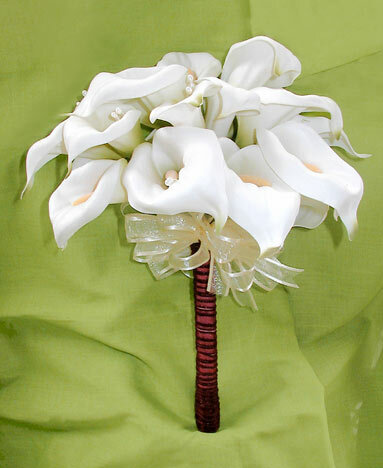 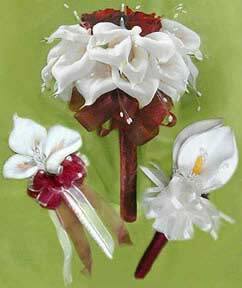 Delights created these Calla Lily and Gladiola arrangements for the ceremony. 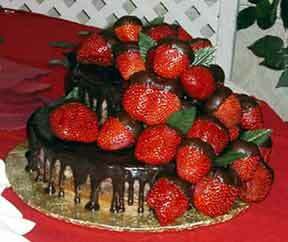 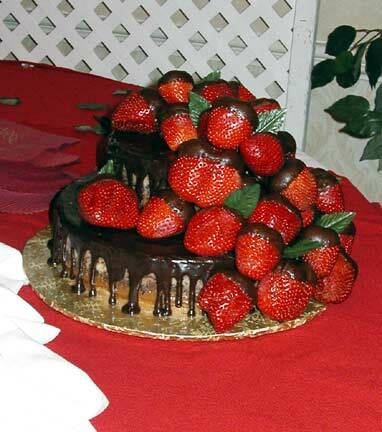 The Groom's cake was our marvelous Turtle Cheesecake with chocolate covered strawberries.